We are a passionate group of Realtors® who love our community. We keep up with the latest trends and strategies to maximize the success of real estate buyers and sellers. At Colony, we offer a wealth of information. We work closely with our clients. We expertly navigate the purchasing process. Our goal is to help clients get the best result. At Colony, we help clients prep for the sale. We enable clients to maximize their investment. Our goal is to make the whole experience as smooth and successful as possible. Colony Realty is the hometown hero of real estate in Historic Winchester, Frederick and Clarke counties, and West Virginia. With service to the community for over 50 years, Colony brings integrity and expertise to every residential and commercial transaction. Our agents, most of whom were born and raised in Winchester, are career professionals who deliver service of the highest caliber. 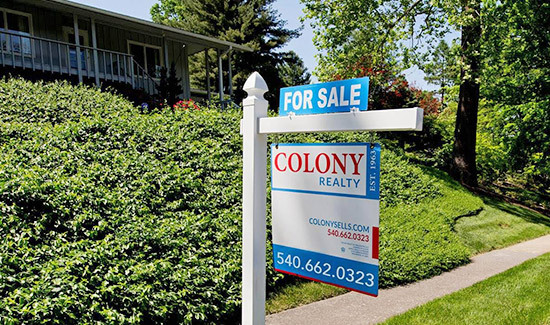 Colony Realty’s agents are leaders in the community and believe that Winchester and the surrounding areas offer the best of both worlds – small town charm and quality of life with big city amenities just beyond the Blue Ridge Mountains.